Darlings. We have such an inspirational and big time guest today. I feel like I truly need to roll out the red carpet here. 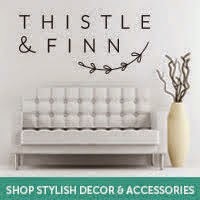 Heather from the fabulous shop Ivy and Vine and the mastermind behind her design firm HHR Interiors is here to share her favorite space with us. Let me tell you all of the things I adore about Heather. You can agree or you can agree. It is just that simple. Heather has the most discerning eye and fabulous taste. 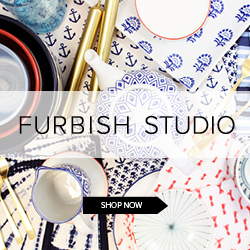 Pretty much adore every piece in her shop, and actually pine over them. Heather uses natural elements to bring interest and curiosity into a space. All in all, I love Heather as a person and as an interior designer. Can't wait for you to get the tour through her favorite space. You will be jelly! Thank you to Lindsay for asking me to participate in the "My Favorite Room" series. My name is Heather Roberts and I own the e-commerce home retail company Ivy and Vine and also run my interior design firm, HHR Interiors. I selected my dining room for My Favorite Room, because it was such a great transformation story, and I feel like we've been able to give the room a ton of personality. My husband and I moved to Atlanta from New York City, and found a classic 1941 Colonial Home in Buckhead. The house has amazing bones, but when we first moved in, the decor seemed a little dated, and many of the rooms (including this one), were very dark and cavernous. The dining room, as seen by these photos, was decorated in a garnet tone. 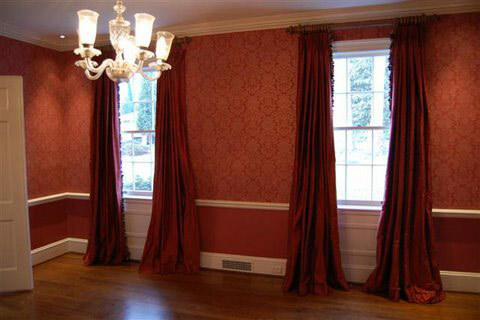 The room was completely wallpapered in a red damask print, and the window treatments were heavy, dark maroon silk. It was an absolutely beautiful space, but didn't seem like the right space for entertaining by the modern family. 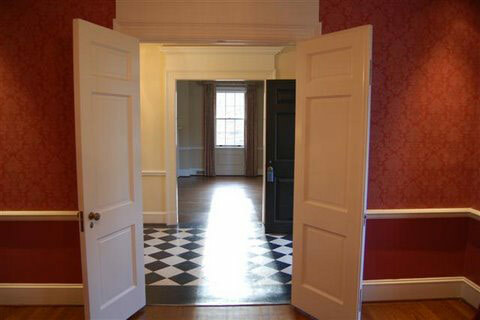 Regardless, it was a very elegant and historical space - double doors open onto the "Dorothy Draper"-esque chequered foyer of the house, and an old-timey swinging door, separates the dining room from the Kitchen (which back in the day, the woman of the house rarely entered). Adding to this, there was even a buzzer embedded into the floor, which the owners could step on to call for the help. 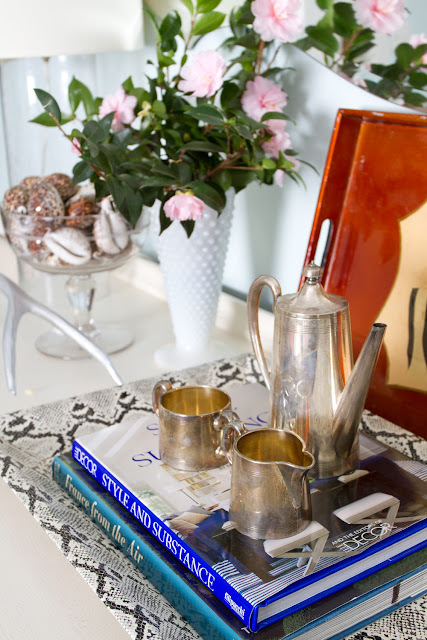 My husband and I, loved all of the history, and wanted to keep these original elements throughout our home, but give it a modern, updated look. 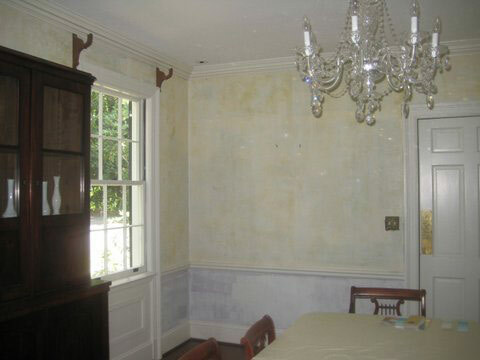 The first thing we did was strip the wallpaper from the walls (a fun process, as I'm sure many of your readers know). We removed the light fixture, which was not original to the home, and actually transported it to the neighboring breakfast room (which, with painted palm tree walls, is a design story of its own). In the place of the fixture, we installed a chandelier, which we brought with us from our previous home, an 1880s brownstone in Brooklyn Heights, NY. We took advantage of the classic architectural treatments, such as the double crown moldings and the chair rail, by doing a dual color above and below the rail - a light turquoise above, and a dark chocolate brown below. 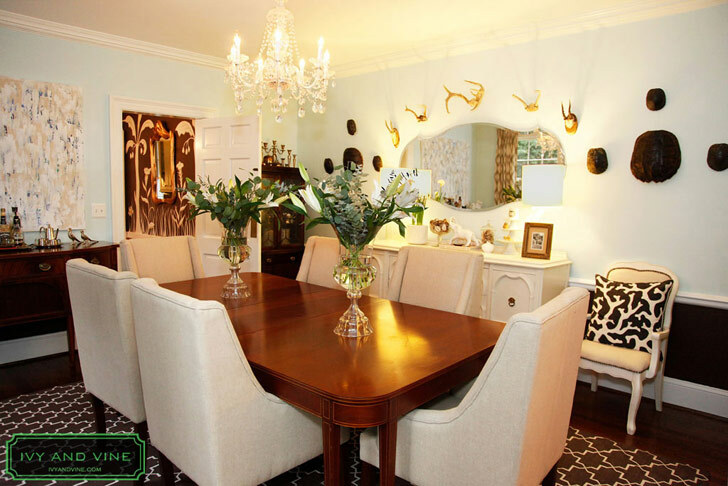 The furniture in the room came from a number of sources - the Hepplewhite dining room table was a family heirloom, and the chairs were bought online from World Market. The two sideboards and both china cabinets were antiques, found at estate sales. I found an amazing Madeline Weinrib rug at ABC Carpet in New York, while there for a client meeting, and had it shipped back to Atlanta. The room was starting to come together, but I definitely wanted to find an interesting way to fill the wall space. On the wall above one of the sideboards, I asked one of my husband's best friends to paint a large abstract acrylic on canvas. Andrew is, by day, a successful marketing executive, but has always had an artistic side, and I knew he would jump at the opportunity, and we would own an original (and large!) 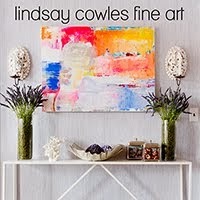 piece of custom art.. Sure enough, it is a perfect modern element to a very traditional space- and since then, I've been able to sell a number of his other pieces to both retail and design clients. One day, after an antique buying trip, I came home with a sack full of beautiful tortoise shells, and wasn't quite sure what to do with them. We decided to see what they would look like on one of the walls, and suddenly a theme emerged. We added a number of deer antlers above the other sideboard, to create visual interest. The browns against the light turquoise and cream painted sideboard just worked together serendipitously! Ivy and Vine has used this room for a number of One Kings Lane photo-shoots. I'm so happy to have been able to share this room with the readers of this blog. 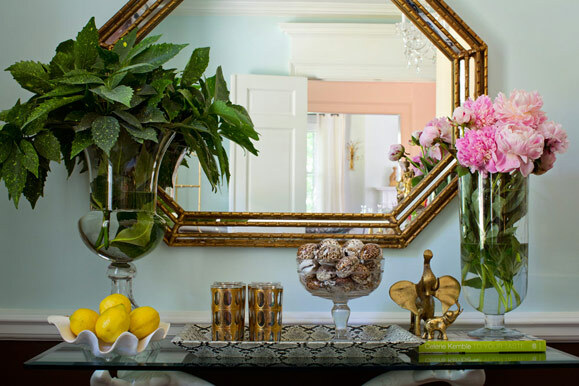 It is my favorite room, and it has been the place for many memorable dinner parties with friends and family - and has never been short in providing conversation-starters! Excitingly enough, Heather has a Ivy and Vine One Kings Lane Tastemaker Tag Sale happening this Sunday, November 11. I mean, I don't know 'bout y'all but I am going to get me some Ivy and Vine goodies. Check it out. Seriously. Wow, what a lovely room! Looking forward to the tag sale. Gorgeous! The antique finds and world market chairs are my favorites! Fabulous!! 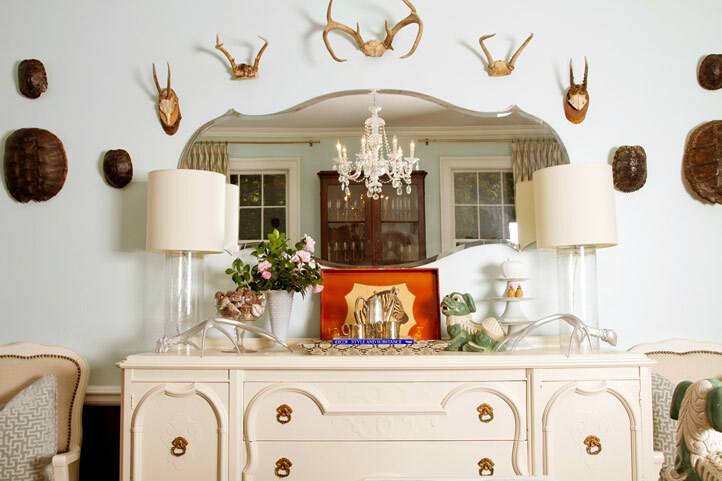 I love the antlers around the mirror. I was considering doing the same thing in one of my rooms. All of it is really lovely! Hi Lindsay...I am back, can you believe it!! I am sooooo happy to be back on my comp.Will email you. What a gorgeous room~! Great transformation....LOVE the antlers and want to get a pair (or two). Beautiful room...talented lady!! Thanks for your well wishes. I love all the history of the room - she has made it so lovely! Thanks for sharing and I've got the sale on my calendar. 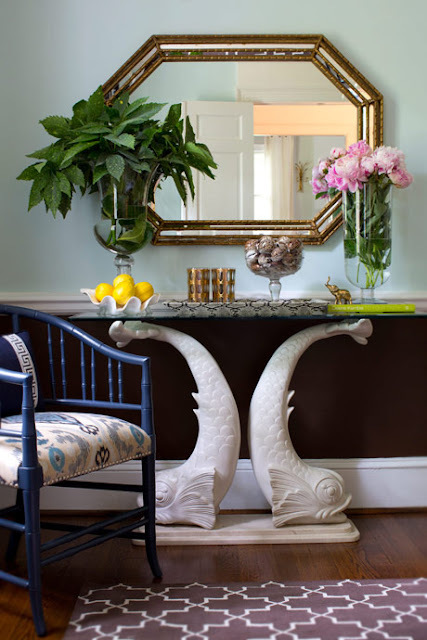 OMG what a beautiful dining room...I love all the mix of horns and shells on the wall. OMG! I feel like I've been missing out! Ivy and Vine was not on my radar! How could this be! Thank you thank you for the intro Miss Lindsay! I am loving the antlers in the living room! Tres chic!!!! Swooning!! I love every detail! The antelers and fish table are awesome! What a gorgeous room. Wow this transformation is really something Lindsay! Love it! Um. Obsessed. Especially with the tortoise shells on the wall. It reminds me of the dining room at the Tides Hotel in South Beach, designed by Kelly Wearstler! Thanks for introducing me to Heather. Wow what a transformation!! I love that you stuck with the original details but added a modern twist. So chic. What an amazing change! And I love that the items are all memorable & conversation pieces. 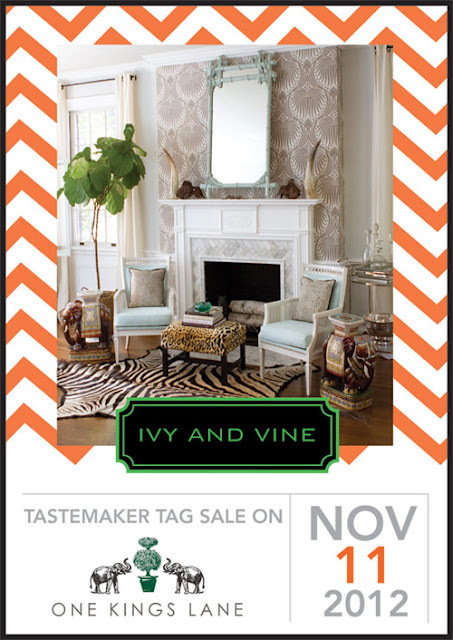 I'll definitely be on the lookout for the sale at OKL! Wow, gorgeous interior. Def going to tear page this. Great blog, want to follow each other? Stunning room! 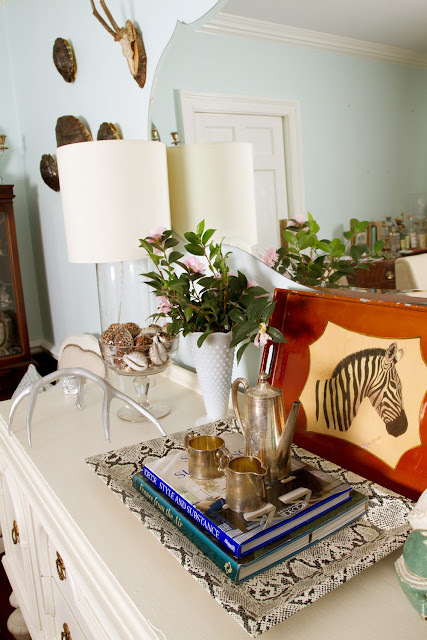 Love the vignette on the sideboard!